In our experience, better decisions are made when we can connect with our clients to establish a deeper understanding of what’s at stake in their lives. We want to leave no question that client priorities come first. Our mission is simple – to provide peace of mind to our clients through objective wealth management and investment advisory services delivered by a team of trusted experts dedicated to the highest level of personalized service. We take that mission very seriously and bring it along with us on every client journey. When you engage with The Colony Group, you gain access to the knowledge of a team of professionals who fulfill a wide range of essential roles. It’s more than having an advisor; it’s having someone who’ll introduce new ideas and help you think ahead…someone who’ll challenge your views, yet watch your back. Committed to two-way communication, we serve as your sounding board and your “second set of eyes” in a world where vigilance is essential. We believe our approach appeals to those who value partnership as much as they value performance. Rely on the guidance of our experienced, qualified professionals. The collective expertise of the team is integral to the process of steering you toward financial strategies that match your circumstances, now and into the future. When a financial advisor has been entrusted with important responsibilities, success is possible only by accepting accountability on a personal basis. So, each one of us works hard to achieve consistent results, provide exceptional service, and earn the trust of those we serve. We strive to take into account all aspects of your financial circumstances, yielding a holistic approach to delivering the financial solutions you need, when you need them. In the simplest terms, we find answers and take action. We always want you to know where you stand, so we use technology to enhance communication, provide timely reporting on your accounts, and update your overall progress toward your goals. We take advantage of today’s technology to communicate with you and respond to your needs, eliminating wasted steps on your journey to financial success. 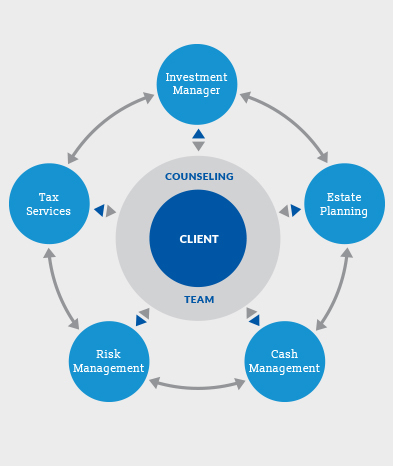 Collectively, our financial professionals have decades of experience under their belts. Over the years, we’ve garnered a broad and deep range of specialized knowledge, as indicated by the long list of professional designations and degrees held by our team members. As a result, our clients can trust in our expertise and bring us their complex issues, their tough challenges, and some of the mundane tasks of managing their wealth. We see the big picture, even while attending to the smallest detail. Please see the descriptions and details regarding the above Colony Group employee designations here. We strive to streamline your entire financial life while delivering simple solutions to you. With some firms, it is the client’s responsibility to coordinate their entire wealth management strategy — everything from investment and cash flow management to tax and estate planning. We provide a different experience. At The Colony Group, we start by giving you access to an array of specialized resources — including the know-how of qualified professionals such as CERTIFIED FINANCIAL PLANNER™ (CFP®) practitioners, certified public accountants (CPAs), Chartered Financial Analyst (CFA) professionals, and attorneys. Thereafter, we manage the entire process for you, coordinating with outside counsel, as well as accounting and insurance professionals, when needed. 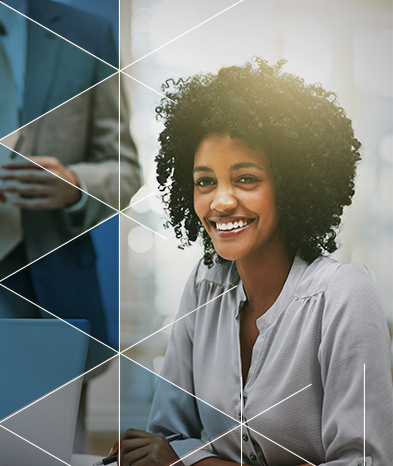 Your team can then integrate investment, wealth management, and other financial services to create a holistic solution that leverages our expertise and knowledge in financial management. Our enhanced open architecture offers access to a broad array of investment vehicles, enabling us to develop investment strategies that make a variety of options available to you. If we need to go outside the firm to ensure that you get what we believe is the best, most customized plan for you, we have strategic relationships with other financial institutions that can help. Best of all, you can count on objective advice. We take our fiduciary responsibilities very seriously and work on a fee-only basis. So, you can be confident that your best interests are a high priority. Our goal is to build a trusted, long-term relationship that serves all of your financial needs now and in the years to come.